The latest in crowd-funding projects relevant to aquarium hobbyists comes in the form of Reef Generation St. Martin, launched August 15th, 2014, through the crowdfunding website IndieGoGo. This project seems to represent the confluence of opportunities for the parties involved; all the pieces are ready to move, all that remains is funding. The seed of Reef Generation St. Martin perhaps started as early as 2004, when well-known coral propagator and experimenter Justin Credabel and a fellow reef geek mused over the possibilities of a large tract of vacant land in St. Martin that was going unused. “Wouldn’t it be cool to do some aquaculture down there?” By 2007, Credabel had visited this vacant land, had seen the reefs of St. Martin, and the wheels started churning. Credabel had actually lined up the funding to initiate this project with the state of Connecticut, but as the economic crisis hit, state funding simply vanished, and the project stalled. This is perhaps a good thing; much has changed since that time. Credabel’s prominence in the aquarium world continued to grow, including the formation of marine ornamental aquaculture company Reef Gen with co-founder Laura Birenbaum (also a much respected aquarist) which hailed Credabel’s return to the New York, New York, area. ReefGen brought Credabel, and his ideas, into direct proximity with team member Joe Yaiullo (Founder and Curator of the Long Island Aquarium and Exposition Center, formerly known as Atlantis Marine World), project consultant Todd Gardner (professor of marine biology at Suffokk County Commuity Colelge in Riverhead, NY), and in turn, team member Dr. Eugene Kaplan, whom Gardner studied under at Hofstra University. 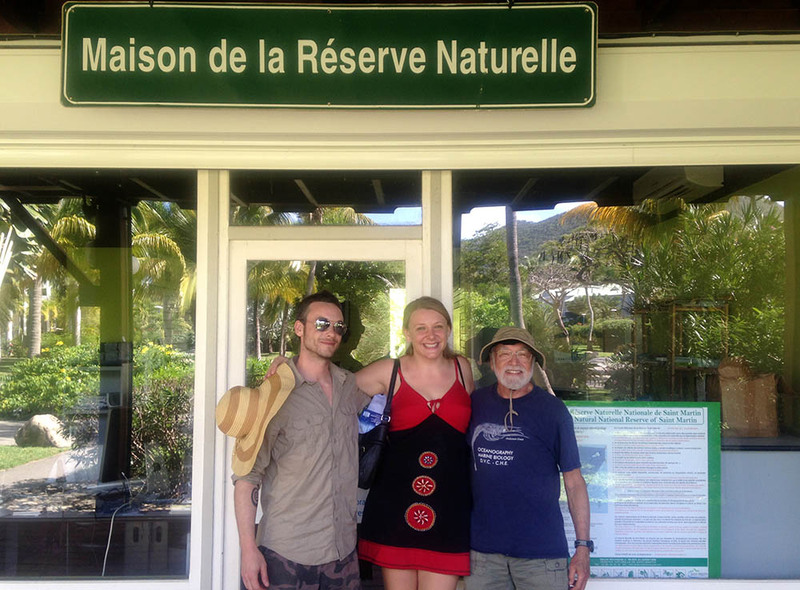 Team members Justin Credabel, Laura Birenbaum, and Dr. Eugene Kaplan, in St. Martin. Credable continues. 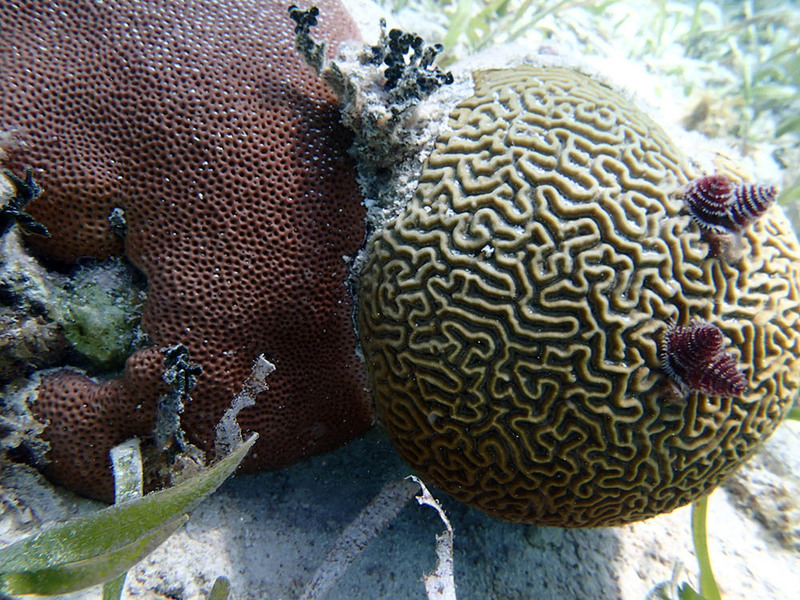 “Our project is unique among coral restoration efforts. We are focusing on creating a dynamic reef environment that existed in the early half of the last century. In the 1960s, there was a reported total of 62 of the 65 species of Caribbean stony coral present on one reef structure. Sadly, throughout the Caribbean this is no longer the case.” As Credabel elaborated in our interview, it is now difficult to find more than a few coral species on any particular reef, and he emphasizes that only fast growing Acropora are getting restoration attention. Caribbean LPS are generally overlooked from a reef restoration standpoint, but are integral parts of the reef that the team hopes to propagate with new efficiencies learned from the captive commercial propagation of similar corals for the aquarium market. Taking away the competition to allow for rapid growth is only the first step; the second step is bringing small fragments back together to fuse, and rapidly create a mature-sized colony for reef restoration in short order vs. waiting years, even decades. The ultimate goal is simple – rapidly creating spawning sized corals helps jumpstart the natural process of spawning to reseed the reefs with other individuals as well. 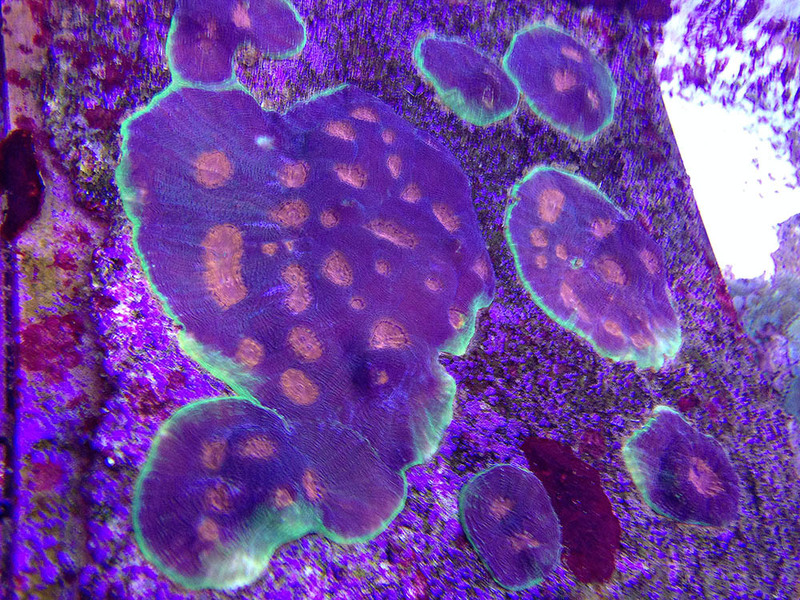 Aquarium-based proof of concept – A Spectrum Acan mother colony propagated from smaller pieces. At this point many of the pieces have fused back into one colony. A read through the Reef Generation St. Martin materials quickly shows that this is a project with long term, loftier ambitions, which include the creation of educational components and potentially even a marine science education center in Grand Case, St. Martin; these components create jobs and education opportunities both in the US and St. Martin. Clearly, the funding campaign’s $45,000 goal won’t cover that (however you can pledge 2.25 million to fund the creation of the school and education center, including a large scale coral farming facility on the campus). IndieGoGo campaigns work differently than Kickstarter (where Reef To Rainforest ran the Banggai Rescue project); whether pledges make the end goal or not, the campaign receives funding. Knowing that contributors like to know where their money is going, Credabel provided some very concrete answers. The initial $45,000 goal will be enough to fund the formation of the non-profit entity to oversee this project, the creation of three artificial reefs at a location immediately outside the western border of the Reserve Naturelle St. Martin. This amount also covers transportation for 3-4 team members to make 3 trips to St. Martin to do the initial installation of the artificial reefs. 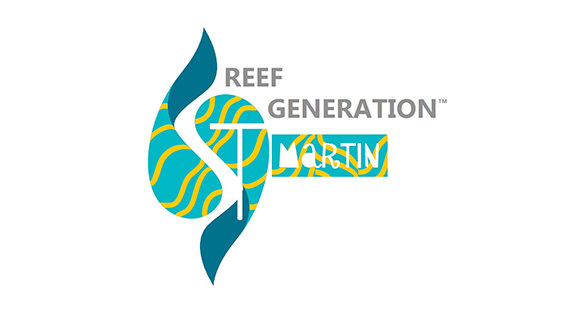 Reef Generation St. Martin’s IndieGoGo campaign runs October 9th, 2014.